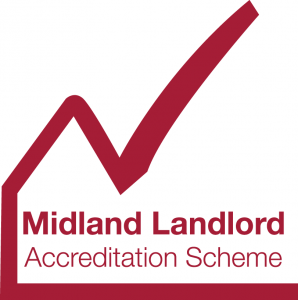 In broadest terms, we can do almost anything you ask of us to assist you as a landlord. We anticipate that the choice of four alternative services will satisfy most of our clients. However, one of the advantages of being independent is that we can be totally flexible and if the combination of services that we offer does not suit your particular circumstances, please tell us and we will tailor our service accordingly. We can find a property to suit your investment requirements, oversee it’s acquisition, project manage any necessary renovation works, obtain necessary licenses and safety certificates where required. Subsequently find vetted tenants then fully manage the property to achieve higher yields than you may believe possible. In many cases appointing Ask Property Management may well result in achieving higher profit than without us, even taking into account our modest fees. This is a fully comprehensive total Management and Letting Service, suitable for Landlords living out of the area or abroad or who, for whatever reason, do not wish to become involved in the day-to-day Management of their properties. This service is only suitable for those Landlords who live close by, are able to keep an eye on their property and supervise maintenance and repairs, but do not wish to become involved in some of the more delicate areas of Management, such as rent collection, bringing Tenancies to an end, agreeing dilapidations with Tenants etc. This is an excellent half way house between Full Management and Letting Only, whereby we maintain an ongoing involvement with your property and are on hand if you go away on holiday or run into problems. This Service is only suitable for those Landlords who wish to actively manage their property themselves, but would like us to find them suitable Tenants. We also provide a set of comprehensive services to Landlords advising and aiding on the letting process and we are Buy to Let specialists. If you are interested in letting your property or just want a no obligation consultation, please complete the form below and we will contact you soon. Landlords with multiple property portfolios wanting to discuss bespoke arrangements can call our MD, James Askey, directly on 07985 196910. Your Email* Invalid email address. Message* Please write your message below. The first benefit we noticed was their attention to detail with regard to maintenance and improvements required to make our 3 flats rent-able again. We followed their advice and gave them a free hand, allowing them to cost and action jobs they felt were required. At all times, they kept us fully informed and only moved ahead after getting our approval on prices, which were all very fair. Jim continues to furnish us with spread-sheets covering works carried out and projects planned so that we are aware of expenditure that will become due in the near future as well as works already completed. “As a trustee of a small portfolio of medium yielding properties, I was looking for the opportunity to buy an investment that really beat the market norms. I had heard about Ask Property Management through a beneficiary to the Trust and so contacted them to see what they could do for us. Not only did they subsequently provide an excellent selection of high yielding HMO’s for our consideration, they also advised on likely ongoing costs and concerns and ultimately provided the best advice to add to our portfolio. Living over 200 miles away, I had to heavily rely on their experience and professionalism, which proved invaluable. Not only did they provide a property finding service, but they also negotiated a price that I was happy to pay and then saw it through to completion, whilst negotiating that we could complete the required refurbishment between exchange and completion. Mr JC (trustee of a London based property trust fund) and Professional Property Agent. JD, a local Professional Landlord with a large portfolio of mixed HMO (multi-let) rental properties and flats. Q. I only have one property that I want to rent. Is that too small for you? A. Not at all. We look after a number of landlords that only rent 1 property. We can provide all the advice and assistance you need to make renting your property as stress free and financially profitable as possible. Q. I have a number of properties that I currently rent out, what is the maximum number you could manage? A. We presently look after a number of landlords, some just have the 1 property or even just 1 room in a property, others have several properties, and many have entire portfolios. We have a dedicated team of professionals to look after the administration, viewings, and maintenance of our landlord portfolio. Q. What level of service do you offer? A. We can tailor a package to suit your specific requirements. Some of our landlords require a tenant sourcing service only. Others require full management whilst others engage us on a full maintenance, service and management contract. The choice and limit to our involvement is entirely down to each landlord. Q. I have a property that I want to convert to multiple occupancy. Can you assist? A. Absolutely. We have vast experience in HMO management and rental. We can project manage conversions of all types and sizes, right through to full occupancy and ongoing property maintenance and tenancy management. Q. I’m not a landlord, I just want to find a lodger to help with the bills. Do you offer this service? A. We do. We have a number of prospective tenants that prefer to rent a room within a family home, or to just rent with one other person. We can provide the lodger agreement and find you a suitable lodger. Q. What do you charge for sourcing suitable tenants and managing my property. A. We offer numerous packages dependent upon the type of property(s), the number of tenants, the property location, and the level of assistance required of us. We are always happy to talk to new landlords and tailor a specific package to suit individual needs. Q. I own a flat, its currently empty, but I’d like to rent it out. Can you help? A. Of course we can. Not only can we find suitable tenants and provide tenancy contracts and deposit protection services, we’ll also look after notifying the utility providers, act as emergency key holders and, should you wish, provide a full maintenance contract too so if the boiler suddenly stops working it won’t be you that the tenant calls at 1 o’clock in the morning! Do you have a question that’s not answered here? No problem, just send us a message and we’ll do our very best to get back to you as soon as we possibly can.